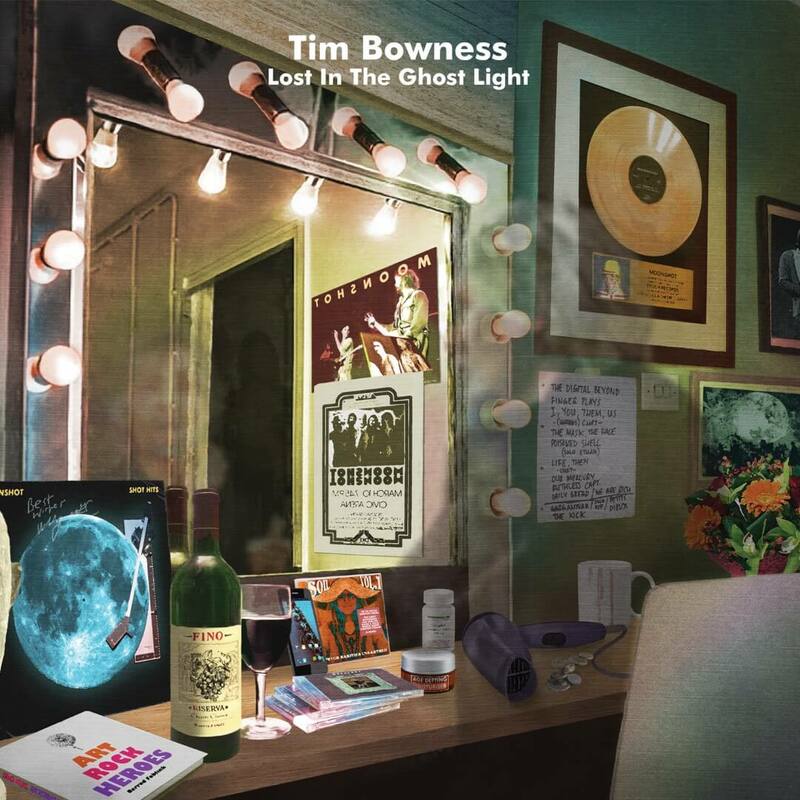 Lost in the Ghost Light, the 4th solo album from Tim Bowness, is available to buy (CD & vinyl) and stream on all major platforms – including Spotify and Apple Music. Purchases of Lost in the Ghost Light from Burning Shed before Midnight on the 22nd February 2017 will receive a free download of Songs From The Ghost Light – which contains alternative versions of songs intended for the concept. The CD and vinyl versions of the album can be bought from Burning Shed. Mixed & mastered by Steven Wilson, the album utilises a core band comprising Stephen Bennett (Henry Fool), Colin Edwin (Porcupine Tree), Bruce Soord (The Pineapple Thief), Hux Nettermalm (Paatos) and Andrew Booker (Sanguine Hum), and is also joined by guests including Kit Watkins (Happy The Man/Camel), Steve Bingham (No-Man) and the legendary Ian Anderson (Jethro Tull). Andrew Keeling (Robert Fripp/Hilliard Ensemble/Evelyn Glennie) arranges for string quartet and flute on three of the album’s songs. Lost In The Ghost Light is a concept album revolving around the onstage and backstage reflections of a fictional ‘classic’ Rock musician in the twilight of his career and features some stunning solos and harmonically rich compositions that represent Bowness’s most musically ambitious work to date.